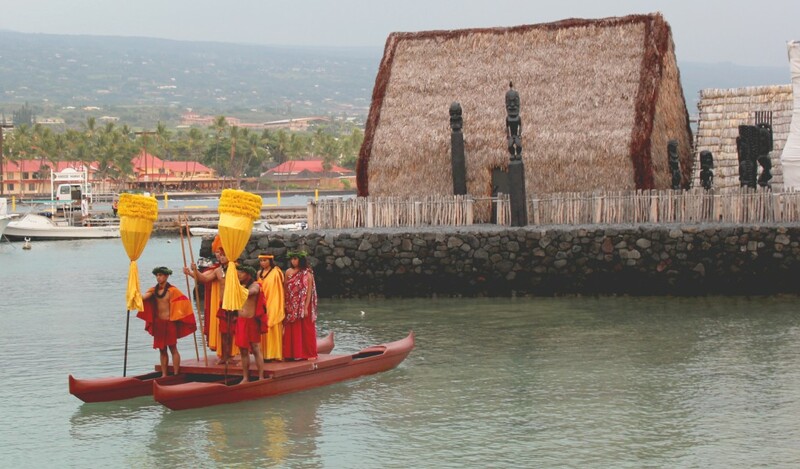 Luau dancers reenact ancient Alii at Kamakahonu Bay near King Kamehameha’s Ahuʻena heiau. This culturally significant beach was the residence of the Great Kamehameha, his son Liholiho and Gov. Kuakini. It is now the playground in front of the King Kamehameha’s Kona Beach Hotel Marriot for locals and visitors worldwide to enjoy.